The Kurdistan Region of Iraq is at war with ISIS. The Kurdish peshmerga forces are fighting along a 1000 km border with ISIS forces. They have regained ground lost to ISIS last June and inflicted heavy casualties. The region, with a population of some 5 million people, is one of the most diverse and stable populations in the Middle East, including Sunni, Shia, Christian, Yezidi, Turcoman, Shaback, and Kaka’i. It is now hosting some 1.5m IDPs and refugees. As the Kurdish Regional Government High Representative in Washington Bayan Rahman has said, “In darkest times, artists are keeping Kurdish culture alive”. 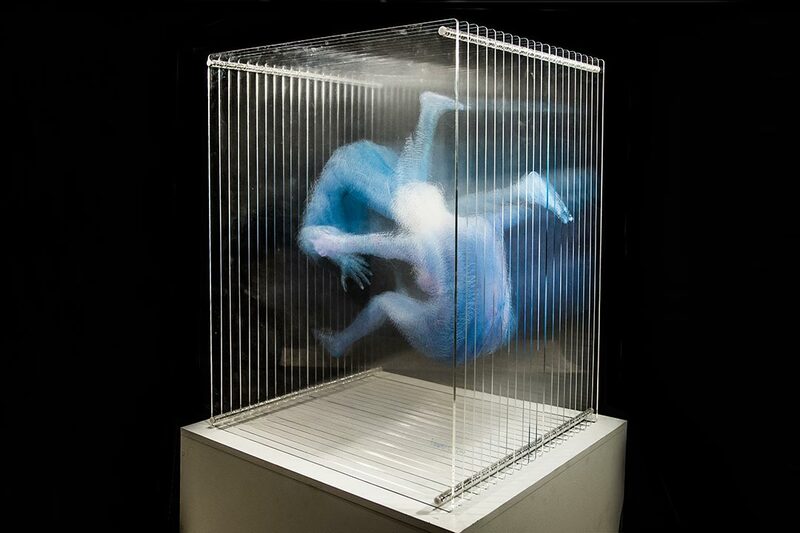 Gulan’s bursaries aim to help combat the isolation of the Kurdish artistic community. The two artists spent one month in Venice. They experienced Venice and its unique architecture and galleries, and also the international experience of the 56th Art Biennale. We are grateful to Gulan’s patron Giovanni Garrisi whose generosity has made this possible, and Nuova Icona Association for the patronage of Contemporary Visuals Arts, which is based in Venice, for their help with arrangements for the artists stay in Venice: www.nuovaicona.com. Gulan hopes to develop more cultural exchanges in the future. If you could help us to make this happen please let us know. 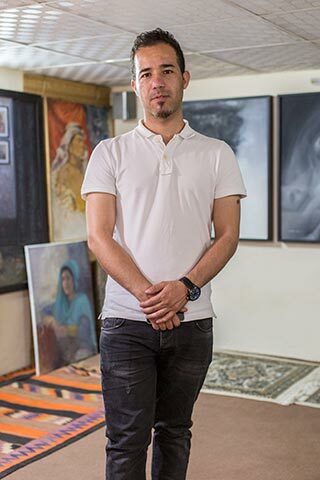 Hawre Ali Taha was born in Sulaimaniah in 1986 and graduated in 2010 from the Sulaimaniah Institute of Fine Arts’ drawing department. He then studied for his degree at the University of Sulaimaniah, graduating in 2014 with first class hons (distinction). 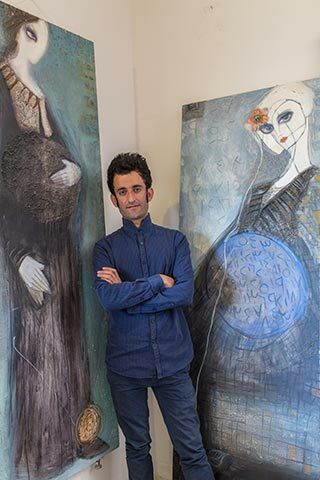 Aryan Abubakr Ali was born in Sulaimaniah and graduated with a diploma from the drawing department of Sulaimaniah Institute of Fine Arts in 2008. He graduated with a BA in Art from Suleymaniah University in 2012 and now works as an art teacher in Sulamianiah. In 2015 he worked on a course organised by UNICEF with refugee children. 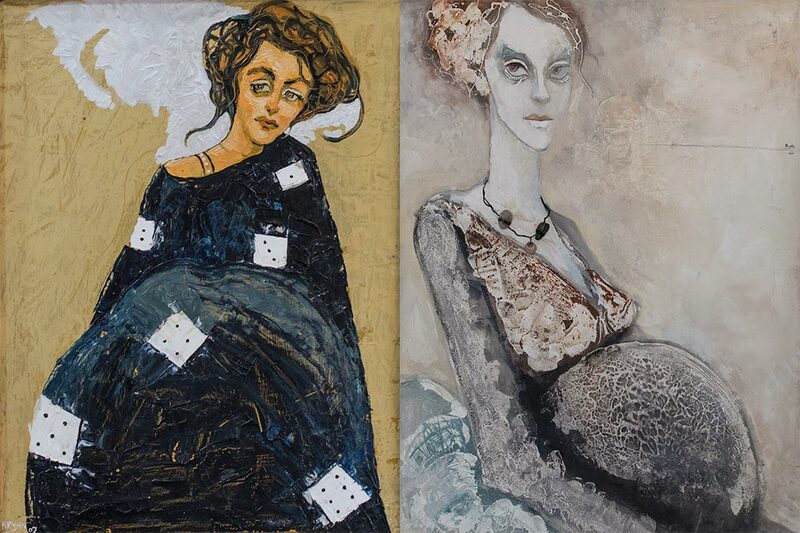 A prize winning painter, Aryan has held a number of exhibitions, worked as an illustrator of children’s books and as a designer of theatre sets. His is also a poet.